"Chris Thrasher is playing reasonably well. Rating appears to be in a downward adjustment and should soon stabilize at a slightly lower level. Chris has faced opponents with an average rating of 754.4. 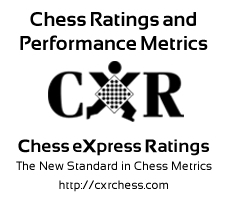 Chris Thrasher is in a slump, off 135 points from a peak rating of 1209 achieved on 2018-02-20. "